Limassol has always offered visitors the chance to indulge in retail therapy at its best. But now, there’s even more to entice the happy shopper with a luxurious complex running right by the coastline promenade. Then there’s the sparkling marina with some great shops to give you good reason to totally update your wardrobe. There’s no denying that Limassol has always been a really high point for visitors to Cyprus. With a gorgeous seafront strip backed by entertainment and dining options galore, there is always something to do in this buzzing city. And there’s just something about the shopping experience that Limassol has to offer that really sets it apart from the rest. With its streets packed with boutiques that cater to both men and women of all ages, the area has become synonymous with a well-dressed crowd that frequents the wide array of unique stores to get hold of the latest fashions. From smart suited business men to high heeled fashionistas intent on making the latest ‘must-have’ item their own, shop windows in Limassol cry out to the people that know the true meaning of living life in absolute style. But recently, Limassol has become an even more appealing shopping destination with two architectural gems that house some truly fabulous shops. If you’re walking down the Limassol Promenade, you’ll no doubt be impressed by the Olympic Residence, standing tall in the middle of the heart of the city’s business district and just a few minutes’ walk from cultural and entertainment hot spots in town. Introducing new standards of luxury, this residential project consists of two soaring towers of impressive architectural design with breath-taking views. Adjacent to the Olympic Residence is a modern courtyard and café sitting alongside a range of exclusively selected boutiques offering designer clothing and accessories like Versace, Chanel, Sonia Rykiel, Dolce & Gabbana, Giambattista Vali, Vera Wang and Alessandro Dell’ Aqua. Then there’s Barbara Bui, Missoni, Sergio Rossi, Malandrino, Burberry, Franck Mueller, Faberge, Loewe, Furla and Gianfranco Ferre. Suffice to say, you’ll be left totally spoilt for choice. Continue down the Georgiou A seafront road in the heart of the tourist area and you’ll come across a number of other boutiques bound to get the heart of any shopping fan racing. Be sure to check out the wonderful designer creations gracing the shelves of the well-stocked Splash Boutique with its lust-after labels. Then there’s the popular Saga along the Georgiou A Seafront road, with an exclusive collection of the world’s most famous designer brands of men’s and women’s clothing, shoes and accessories. And if it’s something truly special that you’re after, rest assured that it’s something truly special that you’ll get. Look out for famous brands like Roberto Cavalli, John Richmond, Moschino, Roccobarocco, Anna Rachele, Galliano, Iceberg and Blumarine. If you continue down the seafront strip, the glamorous First Boutique will no doubt make you stop in your tracks. A whole shopping experience in itself, the owners of this place are intent on providing each and every visitor with a few hours of total luxury and enjoyment. All about putting a smile on your face the moment that you step through the doors, there is much to set your sights on, from silk dresses, cashmere coats and elegant bags, to the most luxurious shoes imaginable. With the best of brands from around the world for both men and women available, you can enjoy a cup of coffee or some bubbly while you try different looks. What makes all of the boutiques in the area really special is the level of personal service that the shops offer, with assistants on hand to help you choose an outfit according to your specific needs. Whether you fancy wowing the crowds at a dinner party or want to get hold of some casual day wear that you can take back home, you’ll no doubt leave feeling like you’ve been truly spoilt for choice. Continue all the way down the seafront road and you’ll soon hit the Limassol Marina, just a stone’s throw away from the old historic harbour, medieval castle and old town. An exclusive waterfront development designed by a world-renowned team of architects and engineers, the whole place combines elegant residences and a full service marina with exclusive restaurants and shops, to create a lifestyle uniquely shaped by ‘living on the sea’. Having welcomed its first residents and yachts in 2013, the marina is also home to some prime designer shops that will make your visit worthwhile. 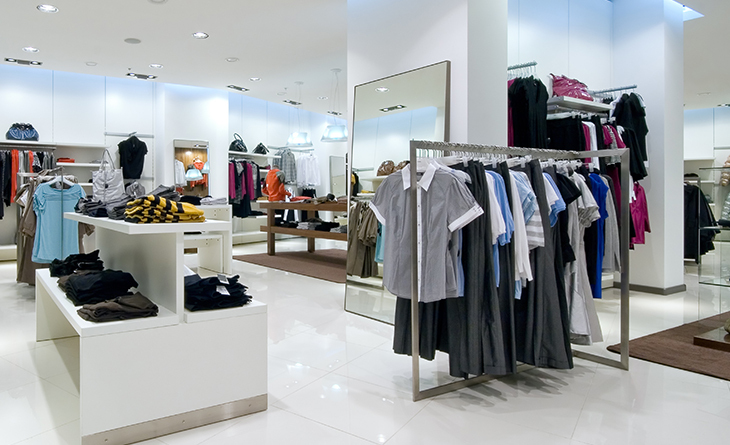 The elegant shops and designer boutiques are filled with brands like Ralph Lauren, Iceberg, Paul Smith, Nicole Farhi, Cavalli, Paul Shark calling out for attention. And if you’re feeling peckish after all the shopping, the marina is the perfect place to enjoy a bite. With its enticing mix of traditional tavernas, stylish international restaurants and waterfront bars, the new talk of the town offers all the variety and quality you could want, coupled with an unbeatable seaside atmosphere. Once you’ve shopped till you’ve dropped, enjoy a stroll along the public promenade or sit back for a relaxing coffee with uninterrupted views of the yachts and sails gracefully punctuating the blue horizon.